Australian captain Lleyton Hewitt today announced the line-up to face the USA in the Davis Cup by BNP Paribas World Group first round tie at Kooyong Lawn Tennis Club next week (4-6 March). World No.21 Bernard Tomic,  Nick Kyrgios,  Sam Groth and world No.9 doubles specialist John Peers make up the Australian team with Matt Reid as hitting partner and Australian Open 2016 junior champion Oliver Anderson invited to join the team in the traditional ‘orange boy’ role. “Australian tennis is in a good place at the moment with more depth, and therefore more options, than we’ve had for some time,” Hewitt said today. 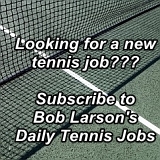 “Nick’s just defeated two top 10 players to win his first ATP title, Bernie is showing more consistency and Sam’s really proven himself at Davis Cup level over the past year. 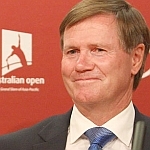 I’m also pleased to name John for the first time in Davis Cup. He’s had a tremendous couple of years and I know he’s keen to step up and represent his country. “This will not be an easy tie and the US will be tough competitors. They have some great players and we know we’ll have to be at the top of our game to get the win. 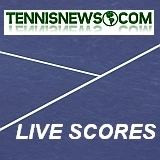 Peers is delighted to be selected for Davis Cup for the first time. 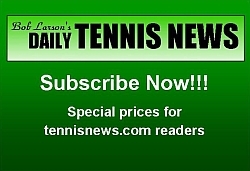 “I’m honored to be named in the Davis Cup team and I look forward to making a contribution in any way I can,” Peers said. “It’s always been my dream to represent Australia in Davis Cup and wear the green and gold. I’d like to thank Lleyton for his confidence in me and can’t wait to make the most of this tremendous opportunity. Kooyong, the former home of the Australian Open, will host its first Davis Cup tie in 10 years with a purpose-built grass surface installed on centre court. 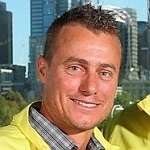 Hewitt made his Davis Cup debut in Australia’s last meeting with the USA in 1999, defeating Todd Martin in a team that included current US captain Jim Courier. This first round tie marks the 46th meeting between Australia and the USA, two powerhouses of Davis Cup competition. The United States leads Australia 25 to 20. The winner of this tie will play the winner of Croatia and Belgium in the quarterfinals.